According to the National Highway Traffic Safety Administration, car crashes are the number one killer of children 1 to 12 years old in the United States. A statistic like that should jolt you into thinking harder than I did about the car seat you end up buying. And with the recent changes to child car seat laws, you’re going to have to think harder. 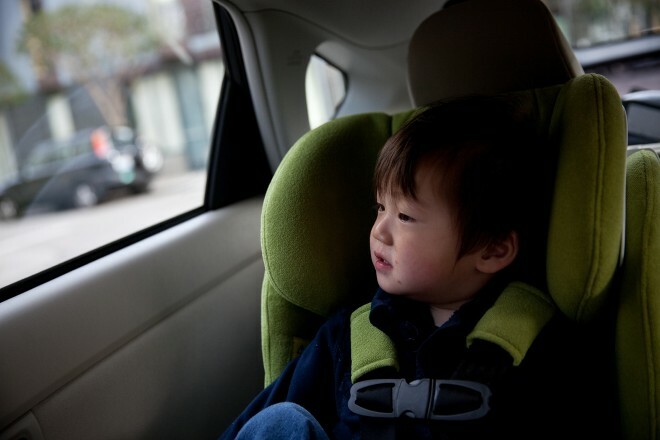 In 2011, the American Academy of Pediatrics revised its recommendations on child car seats by urging that children be made to sit in a rear-facing position until age two. It was just a recommendation, but the AAP is one powerful group, so lawmakers around the country crafted new rules. 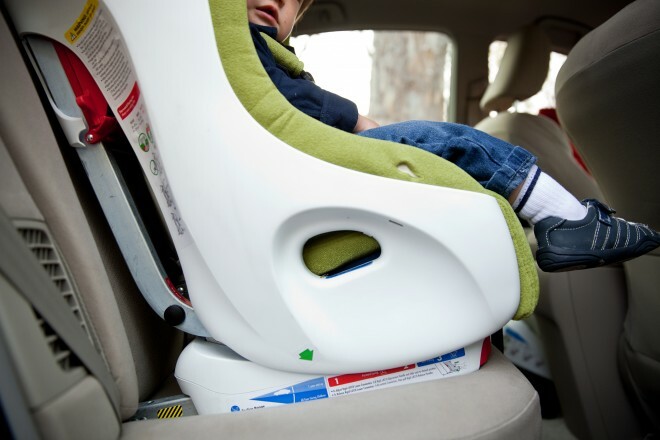 Now, depending on the state, the law says you have to keep your kid in a rear-facing child seat until age two, as well as a forward-facing car seat (or, to use the formal and somewhat more fun terminology, “child restraint device”) of some fashion at least until they’re four or five. In some states, your kid has to stay strapped into a special seat until the bugger is seven or eight years old. Most rear-facing seats and rear-to-front convertibles have weight and height limitations that won’t even hold your child to age two. So, these changes also pressured manufacturers to design new rear-facing seats accordingly. This new chair, the Foonf from the manufacturer Clek, lets your child can stay rear-facing until they weigh 50 pounds and measure 43 inches in height — well beyond the norm for 2-year-olds. At age two, you can switch to a front-facing position until your little one reaches either 65 pounds or 49 inches, when he or she is not so little anymore. By that age, your child may be old enough or big enough to graduate to a booster seat or a regular seat with adult-sized belt restraints. 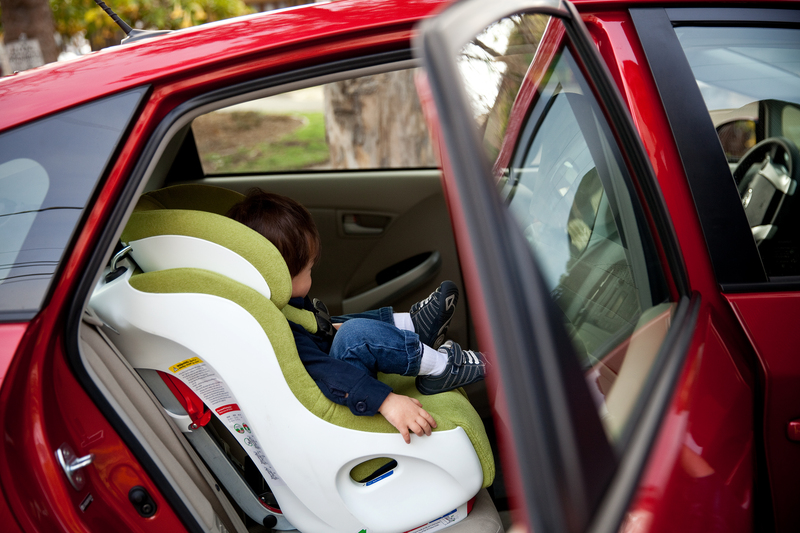 The idea is that the Foonf is designed to be possibly the only car seat you’ll need from six months onward. That might help you appreciate the cost, which starts at $400 but has fabric options that can drive the price up as far as $500. I gave the Foonf a test drive with my 27-pound, 20-month-old boy in the backseat of my 2011 Prius. Of course, I was fine giving the chair a test drive, but not a test crash. I left that testing up to the aforementioned NHTSA, who sets the standards and tests all the chairs before they’re allowed onto the market. But the NHTSA only tells us if a car seat passed the tests: if it’s for sale, it passed. What it won’t say is which car seat is safest. I’m a science guy, and I like data; especially the quantitative type. Don’t tell me if a car seat passes inspection, tell me by how much it passes. Too bad for me. At least it’s seriously sturdy. The Foonf weighs in at 36 pounds, partly because of its steel and magnesium substructure. It also offers a unique safety feature that Clek calls “REACT,” which stands for “Rapid Energy Absorbing Crumple Technology.” In a similar way that modern cars are designed to crumple to diminish the impact of a collision, the Foonf utilizes a honeycomb of aluminum fibers that crumple to reduce collision forces by (according to Clek) up to 40 percent. Also, deep wings on the sides of the headrest protect the noggin during side-impact collisions. Like other car seats, installing the Foonf had me scratching my head at first. I had to consult the manual often. But now, after a few weeks, I can take it in and out of the car in less than a minute. This was true in both rear-facing and front-facing positions. It measures only 17 inches at its widest point, so you can fit three Foonfs side-by-side if needed — you don’t necessarily have to get that minivan if you’re hauling three tykes at a time. But it definitely feels bulky to the point that you won’t want to be installing and reinstalling it often. It’s a behemoth; not exactly something you can one-hand to the airline baggage counter or easily swap between two cars. Then again, that sturdiness might just end up being a lifesaver. Once installed, getting my son in and out of the harness was plenty convenient. The harness straps are thick and sturdy, so they don’t get twisted and tangled like other models I’ve used. The upholstery is thick and cleans well, and there’s plenty of padding underneath. A couple of innovations. There are magnets beneath the upholstery to hold the buckles while you’re popping the kid into the seat, but they aren’t very strong. Flinging the buckles to the side of the seat is easier and faster. There’s also a rebound bar that attaches to the footrest of the Foonf. You use it in rear-facing mode — It sticks out from the bottom and pushes against your car’s seat, where it keeps the Foonf from rotating too much in a collision and reduces the risk of neck injury. So it’s a very sturdy seat, and it’s made to accommodate your child in a rear-facing position longer than most seats. It’s not something everyone can afford, but the increased flexibility of the design and the safety measures added to the seat by make it worth the money if it’s in your budget. WIRED Works as a rear-facing chair until age two for children of almost all sizes and weights. Can accommodate larger kids in forward-facing mode, so you can keep your child in it until they are much older in states that require it. Sturdy construction with force-reducing honeycomb impact zones. Modern styling guaranteed to turn grandma’s head. TIRED One of the most expensive car seats you can buy. No cup-holder standard — it’s an optional accessory. Just another confusing car seat user manual. Heavy. You still need a different car seat from birth to 6 months.